Squeaky doors??? Crisco to the rescue. Turns out Crisco is a terrible thing for us humans to ingest, so we might as well put that big ol’ tub to use elsewhere. 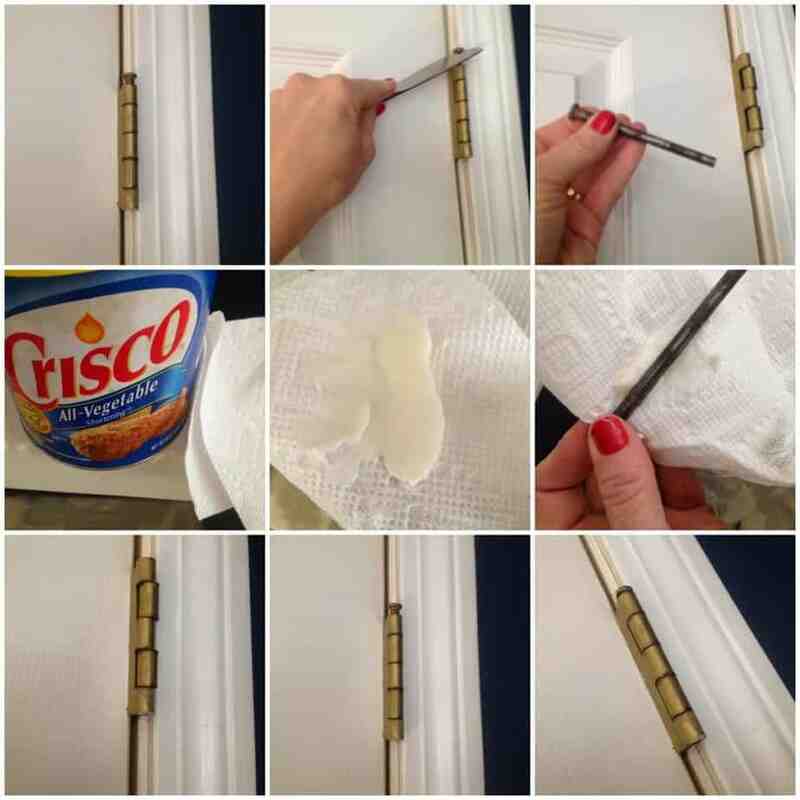 In a nutshell – use a flathead screwdriver (or butter knife if you’re me) to pop the hinge pin out (one hinge at a time so the door is still attached), rub some Crisco on it, realign the hinge and push the pin back in (a hammer might be helpful if your hinges are old and rusty like mine). Open and close the door a few times and voila – no more squeaky door. 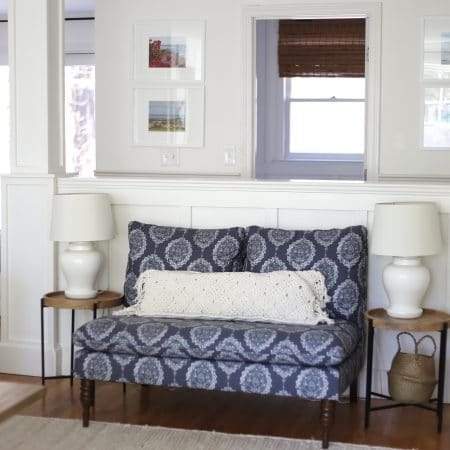 *I used to use WD-40 spray, but discovered that if any of that gets on your wall, it’s a beast to remove and the next time you paint, the paint won’t adhere to that spot. ERRRR. Also – WD-40 is so gross to breathe in, I try to use it as rarely as possible. Crisco is gross to cook with, but miraculous on squeaky doors! *I am by no means a clean eater but I am continuously seek to educate myself about healthy choices for myself and my family. Although I am a skeptic of a lot of research and food health claims I don’t think it’s debatable anymore that Crisco is healthy to eat. For more reading material on this subject check out this article or google “health risks of Crisco”. I have found a great all natural, no partially hydrogenated product by spectrum, that is "crisco like" but NOT! its there natural shortening. True, its still oil, but for baking cookies or limited use I think its a must better alternative. Great tip, Lisa. We usually use WD 40, too, but I love that this is less messy! that makes so much sense! great tip! So I got two tips out of this one – there's something better than WD-40 AND I need to throw out my Crisco. Yuck – who knew? Thanks! I love your QTT segment Lisa, it's always so practical and useful! The wooden spoon thing works! no more spills at our kitchen, thanks to you!